As I sit here watching France play Croatia in the World Cup Final, I thought it'd be fitting to share my two versions of the Datura blouse by Deer & Doe. Even though I want Croatia to win. Sorry, France. Deer & Doe are probably my favourite pattern company. I have made a few of them and have plans for a Mélilot soon. The Datura comes in 2 versions: with a peter pan collar or a cool cut out neckline. They both have self lined yokes so the finish is very clean. I chose to use French seams (strong French theme today, huh?) in both of my tops. I can almost wear them inside out. The buttons on the back aren't functional - although they are on my blue one because I didn't read the instructions properly. Haha! Muppet. The fabric I used for the coral one is just a cotton. 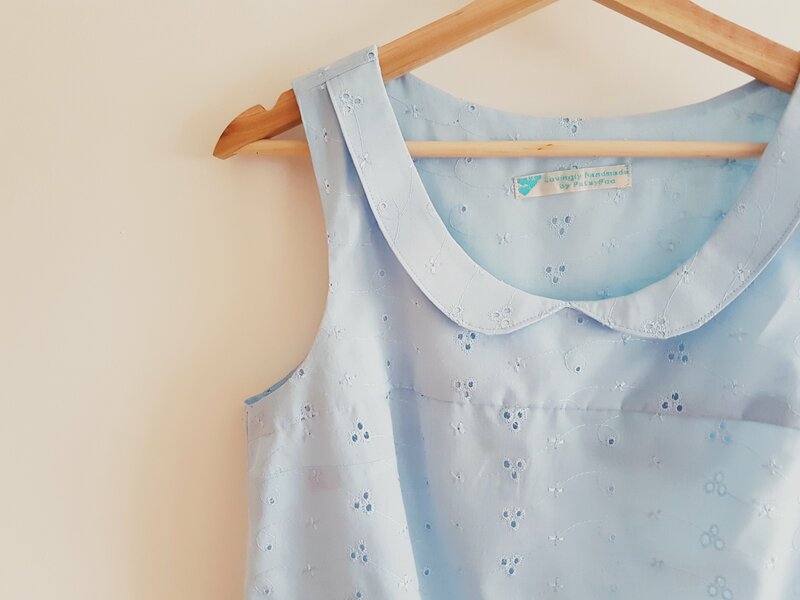 The blue is a lovely broderie anglaise that I've had for years. I made a size 40 and I love the fit. It's feminine and contemporary. I've been wearing them in the hot weather as well and they're perfect for it as they're fairly loose and floaty. 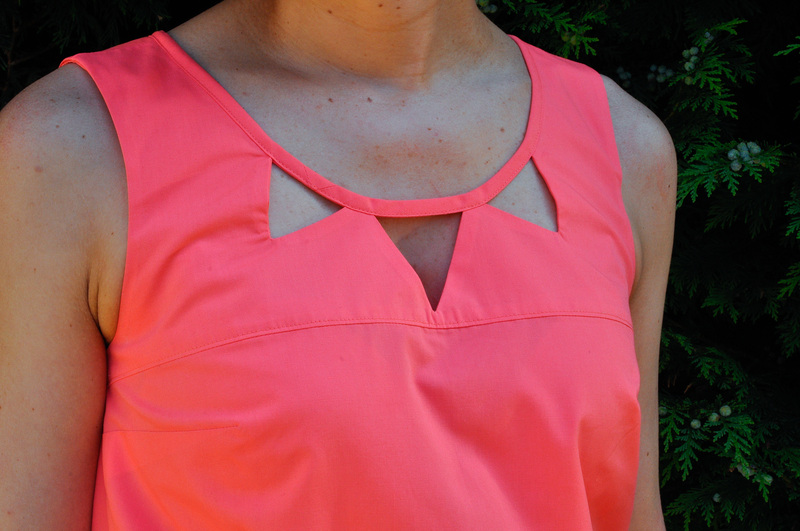 I absolutely love the cut out neckline. Such a striking look. It's not difficult to do but it is a little fiddly. I am very happy with mine though. The only disappointment is with a visible seam on my binding. But it was one of those things I couldn't avoid - whichever way I placed the binding, I was getting a seam on the front somewhere. The yokes are attached in a very interesting way - shoulder seams are left for last. I think Sew Over It do it that way on the Elsie dress as well but I'm not totally sure. I was a little confused the first time, but it all clicked into place for the second version and I love the way it looks. I like the curved hem, too. It looks really cute with jeans. And now I want some colour blocked versions. 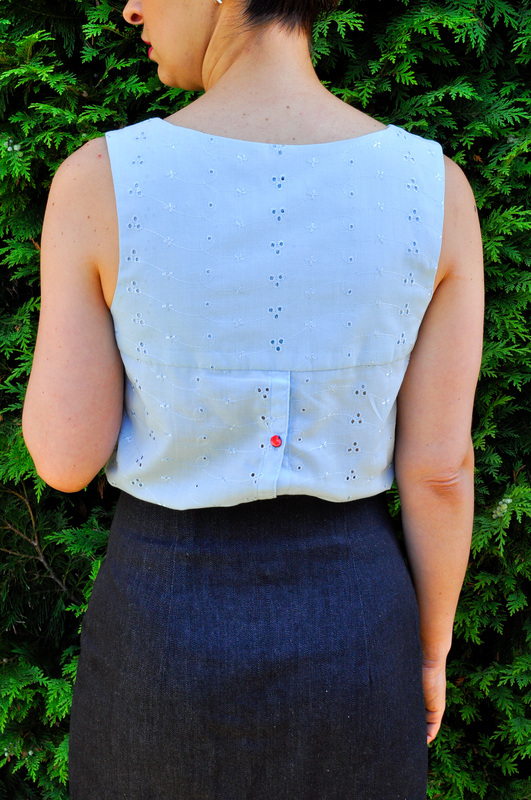 As an aside, the denim skirt I'm wearing with the blue version is an Arielle by Tilly and the Buttons. I've made one before and I love them both. I didn't line this one though and it was super speedy to make. 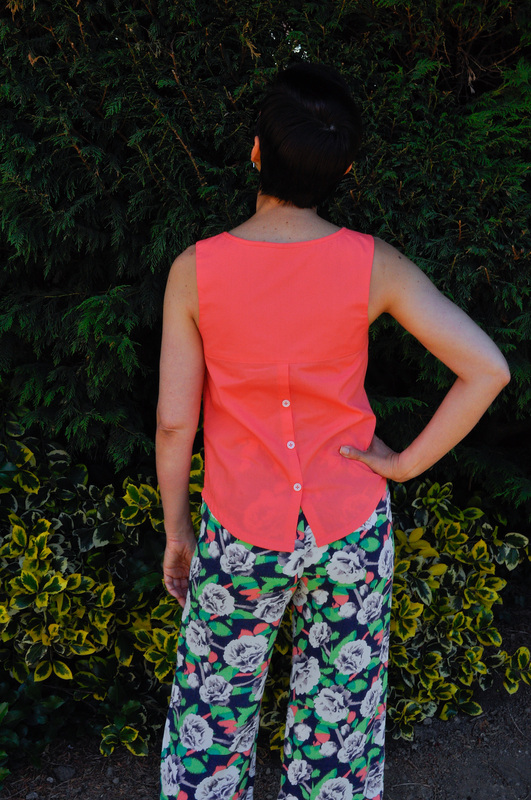 The trousers are the Ultimate trousers from Sew Over It and I've made a fair few of them now. These are my loosest ones. 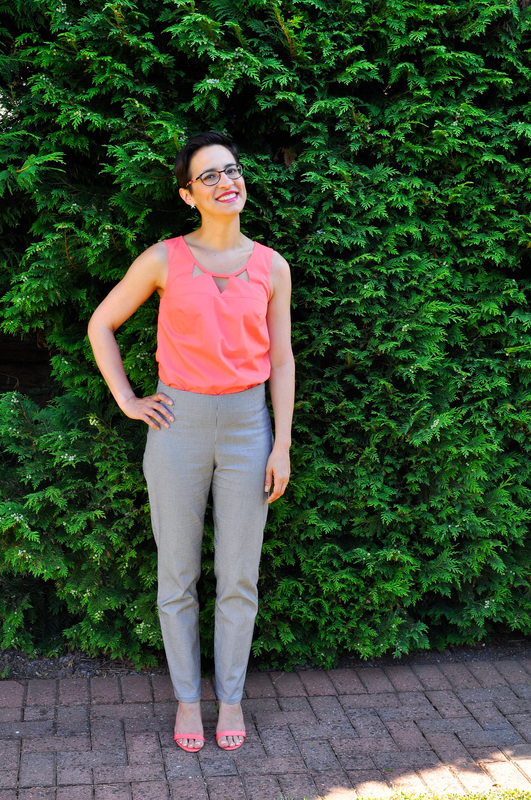 The fabric is a wool blend with some stretch and they're super comfortable.